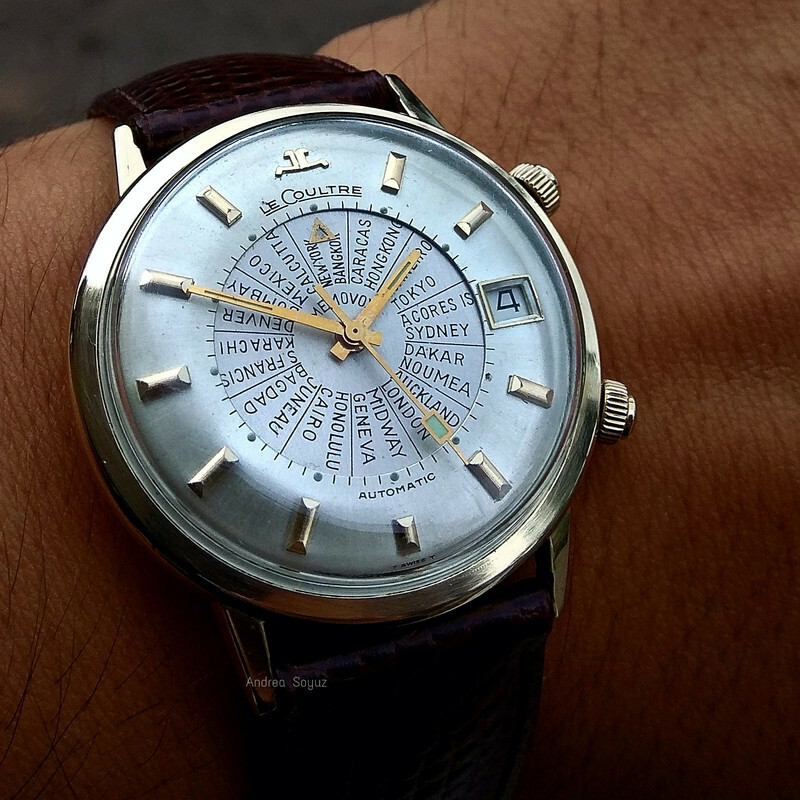 Jaeger LeCoultre MEMOVOX Worldtimer Automatic Calendar. For the USA market. 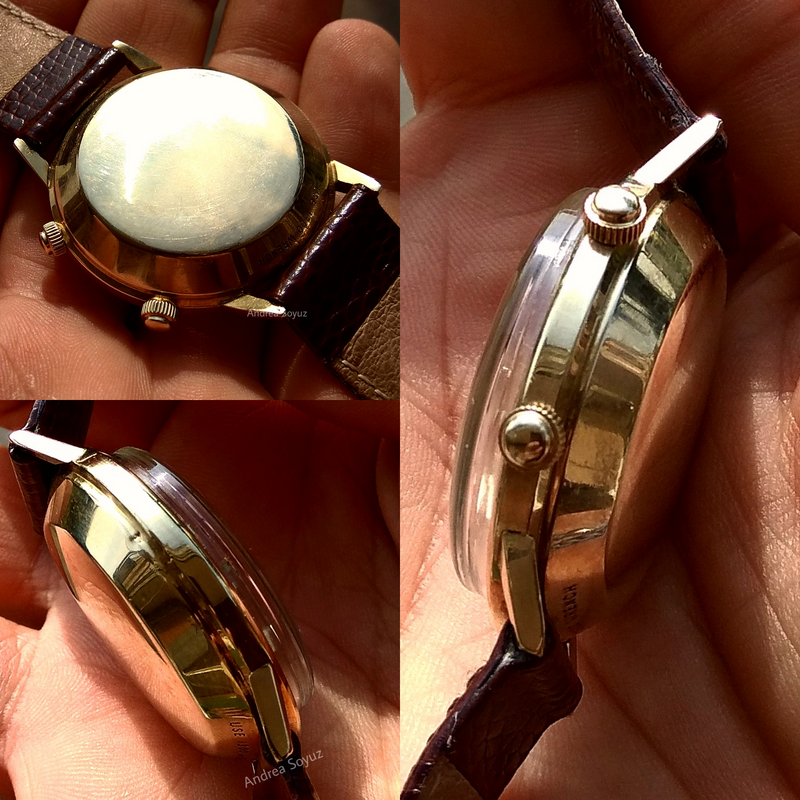 Case: one-piece clamshell 10k Gold plated, about 37mm. 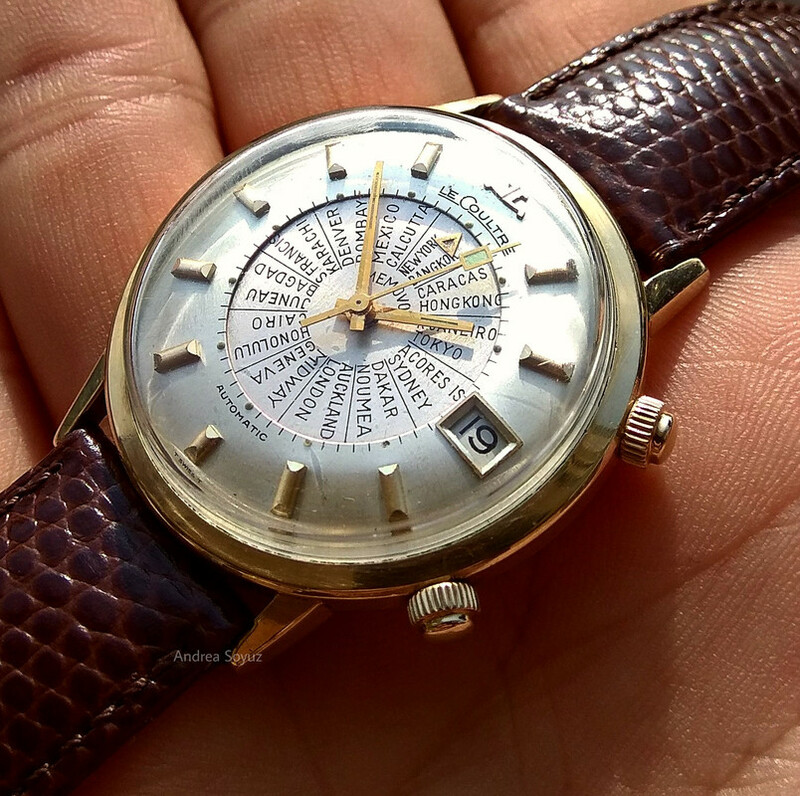 Dial: Original UNTOUCHED stunning sector dial. Original and untouched hands. 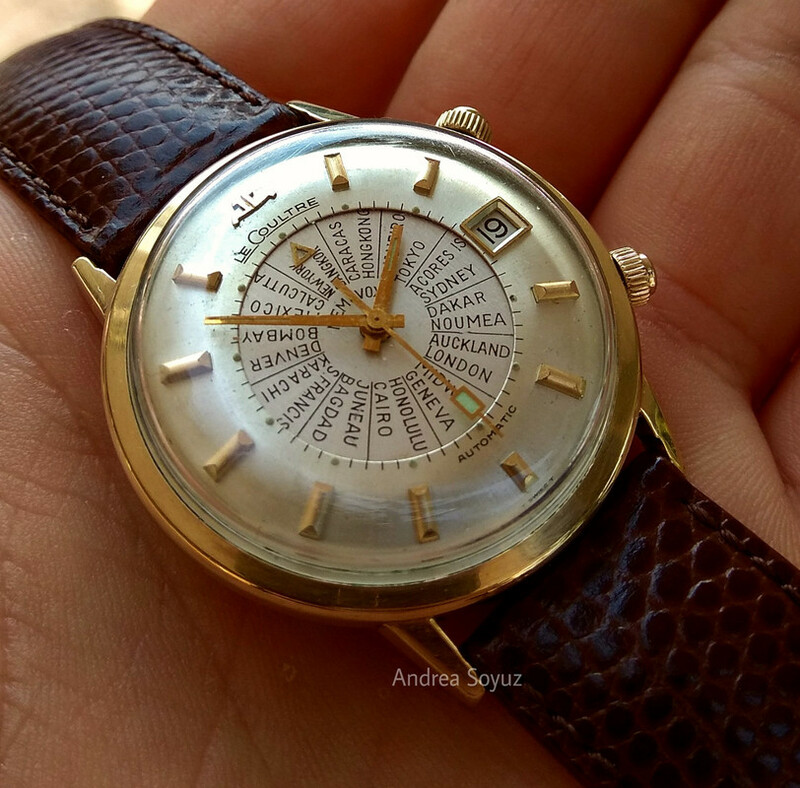 Alarm and WORLDTIMER disk (rare). Conditions : Used in really original and untouched stunning conditions. Working Perfect, All original and untouched. Never polising/restoring, normal few mark of use, overall nice conditions. 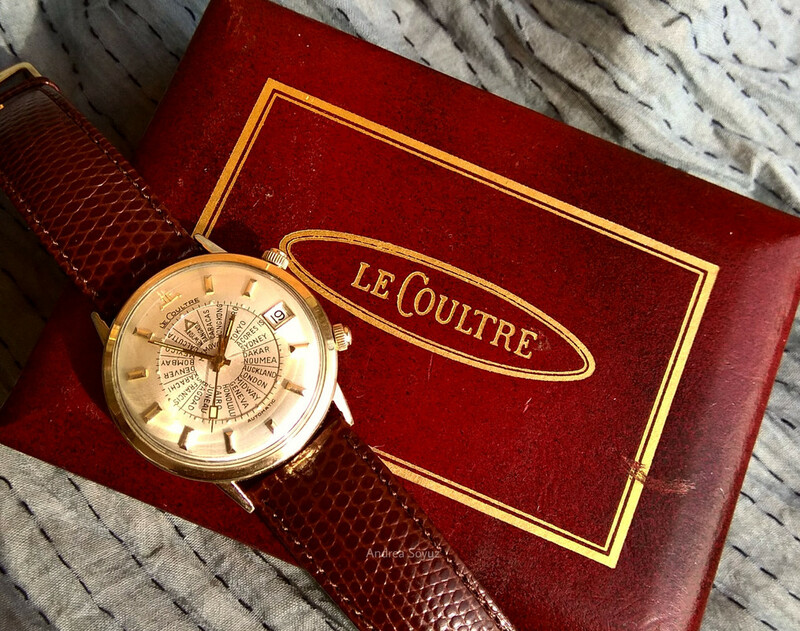 Just checked by professional watchmaker. Awesome to wear, collectible, unmissable. 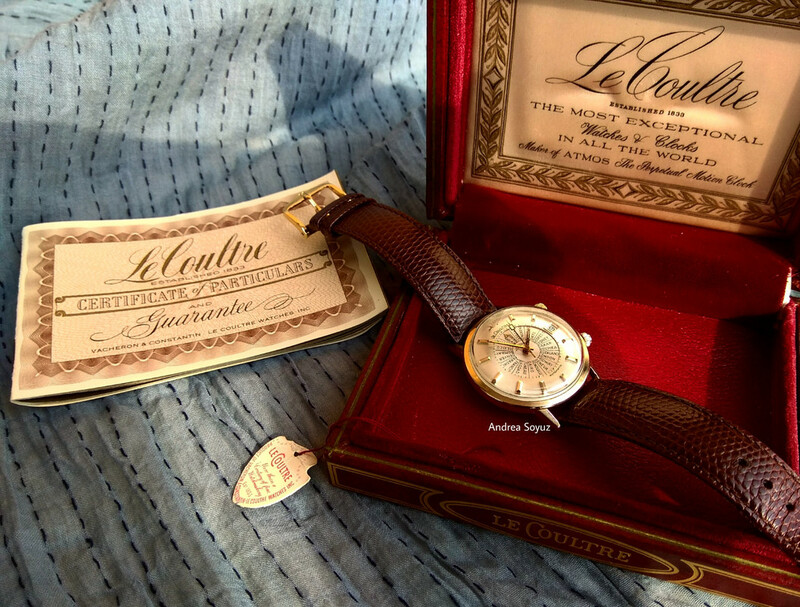 Comments: Stunning example of JLC timeless charme. 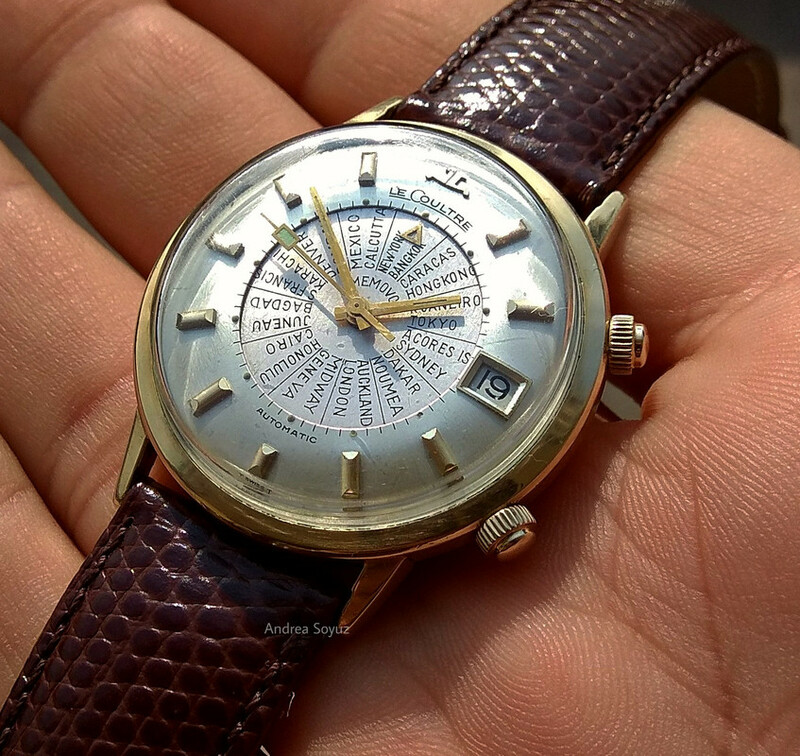 Extremely Rare Watch produced from the 1960's . This model was produced for the USA market and was owned by the US President L.B. Johnson for several time. IMPOSSIBLE TO FIND in that conditions, Untouched and full set. 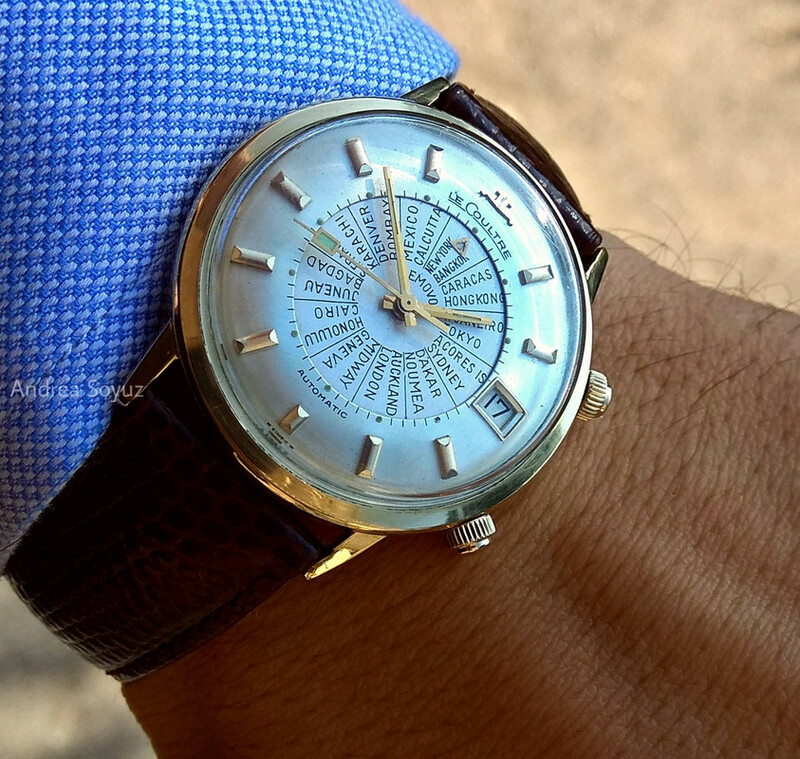 Please note: no inside movement images because the case is monobloc, the watch is absolutely original, recently serviced and doesn't need to be opened (risk broken original glass) to ascertain the originality: doesn't exist another movement with alarm, bumper, calendar, fittable in that watch. Box/Papers: It Comes With original Box and Original guarantee of period (blank conditions) and original tag too!!! Private sale: Sold AS IS. No return or refund. Free Shipping worldwide With insured and Express courrier.